Earth Camp was founded in 2007 by Vanessa Eyen & Kyle Collins at Laguna Farm in Sebastopol. 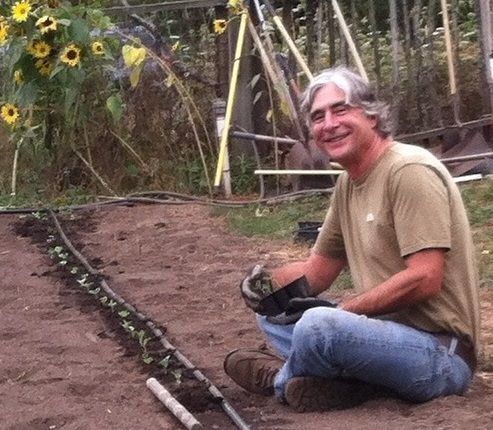 The next year, Bev & Mark Buswell (aka “Farmer Buzz”) started Wildflowers Nature School on Mill Station Road in Sebastopol, offering a nature-based preschool, a homeschool enrichment program, and afterschool classes in nature connection for older kids. Over the years, Bev & Vanessa brainstormed on how to collaborate with their similar businesses. In 2012, Vanessa & Kyle were ready to move on from Earth Camp and raise a family and develop their professional lives. So in April 2012, at a beautiful ceremony by the campfire, Vanessa & Kyle passed Earth Camp on to Bev & Mark. We are so pleased that Earthcamp will return to it’s roots this year, and are welcoming Vanessa as the Director of Earth Camp. 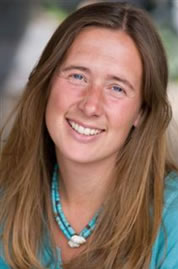 We are so pleased to welcome Vanessa Eyen, the original founder of Earth Camp, to be our Director this year. Vanessa Eyen is a licensed Marriage and Family Therapist and has masters degrees in outdoor education and counseling. She is the founder of the Earth Camp, The Center for Nature Based Therapy, and the Credo High School Counseling Program. She also works as a counselor at the Independent Charter Waldorf Elementary School in Sebastopol. She has worked as a child therapist in local Sonoma County Schools including: Salmon Creek, Guerneville, Monte Rio, Helen Leman, and Monroe. 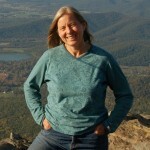 She founded and directed Earth Camp for 5 years after 10 years of being an outdoor educator and wilderness guide for Naturalists at Large, Outward Bound, The Outdoor Education Group in Australia, Azure adventure professionals, and many others. She has more recently guided Wilderness Fasts for teens for Wilderness Reflections, Rites of Passage, the Marin School, Sonoma Academy, and Credo High School. She was also a snow board, yoga, and swim instructor throughout her life, loving the art of teaching children things she loves. She is excited and honored to serve the community this summer as the director of Earth Camp. Bev started teaching Environmental Education at age 16, volunteering to lead children’s groups at county and National Parks. She now has 37 years of experience in the field including a bachelor’s degree in Environmental Education, 5 years as the Environmental Education Director / Garden Teacher at a public school, about 10 years teaching preschool aged kids, a couple of years as a Laguna Foundation docent and curriculum intern, about 15 years as a scout leader in various functions (especially leading a high adventure group for about 10 years), and a myriad of other expressions of her desire to bring kids closer to nature. 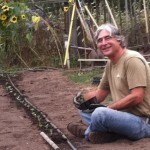 Valuing the works of Jon Young, Tom Brown, and Joseph Cornell, Bev has come to realize that the most important environmental education anyone can attain is a strong connection to the natural world. For it is what we love that we care for. Bev and Mark have 2 grown children and 2 grandchildren. When the oldest grandchild turned 2 years old, Bev decided it was time to return to her roots as a preschool teacher. Mark & her had always wondered how they could share their beautiful 4 ½ acres of forest, creek, orchard, & gardens. So in 2008 they opened Wildflowers Nature School on their land for preschoolers and have since added a Homeschool Enrichment Program, an afterschool nature connection club called “Scouts”, and Earth Camp. 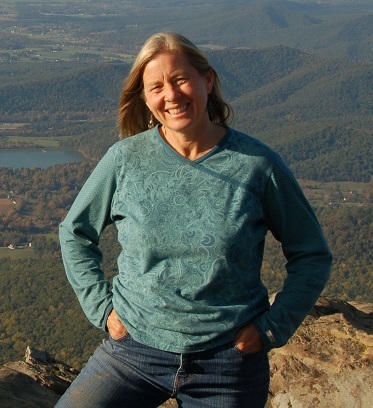 Bev’s playfulness, vision, sense of wonder, and excitement about the natural world makes her a great teacher.